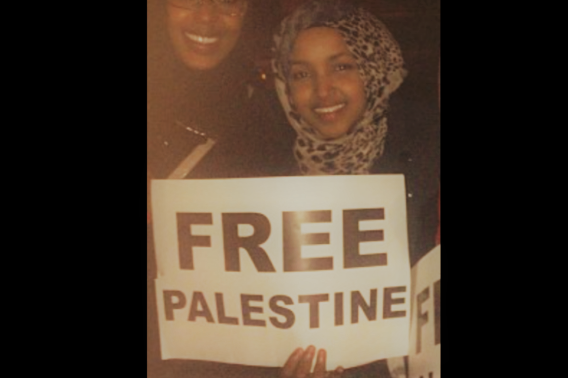 While shaking her jihad fist at the “Jewish lobby”, of course. 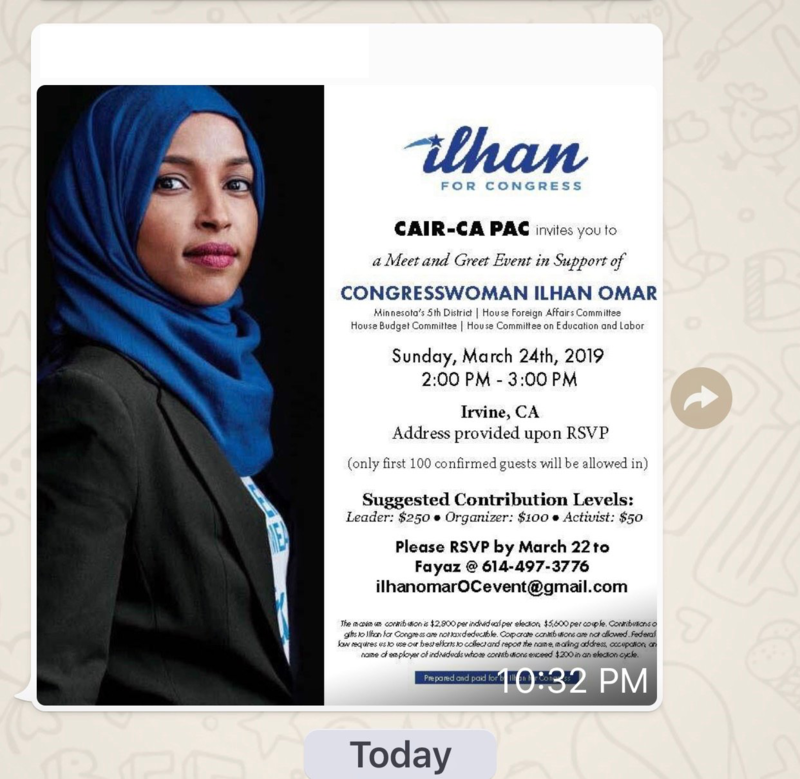 Democratic freshman Rep. Ilhan Omar (D., Minn.) has been holding a series of secret fundraisers with groups that have been tied to the support of terrorism, appearances that have been closed to the press and hidden from public view.The content of these speeches, given to predominately Muslim audiences, remains unknown, prompting some of Omar’s critics to express concern about the type of rhetoric she is using before these paying audiences, particularly in light of the lawmaker’s repeated use of anti-Semitic tropes in public. Islamic Relief has come under congressional investigation for what lawmakers have described as its efforts to provide assistance to terrorist group such as Hamas and the Muslim Brotherhood. The charity has been banned by somecountries as a result of these ties.